Inspired by a work recipe, I decided to try my hand at some nut covered meat snacks… sounds appetizing, right? Well, they are. 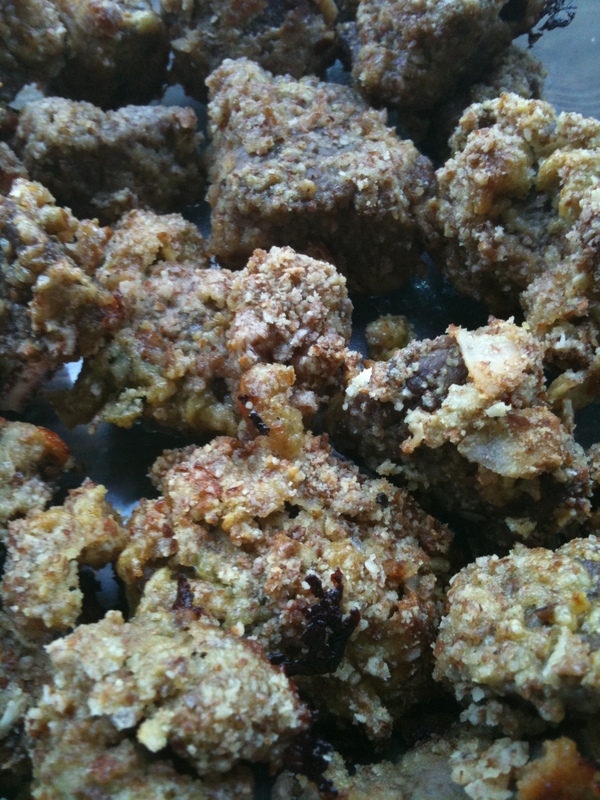 They’re called Almond Beef Bites and they are an AMAZING on-the-go snack, SOOPer easy to make, and quite tasty. Don’t be freaked out by the ingredients. Mayo and almond?! Sounds wierd, I know. But the mayonnaise is a great way to keep the meat moist. If you want to be more advanced with your culinary skills, make your own mayonnaise like I did! It’s much healthier and WAY more delicious. You can also substitute chicken for beef and even coconut shreds for the almond for all the nut-allergy folk. 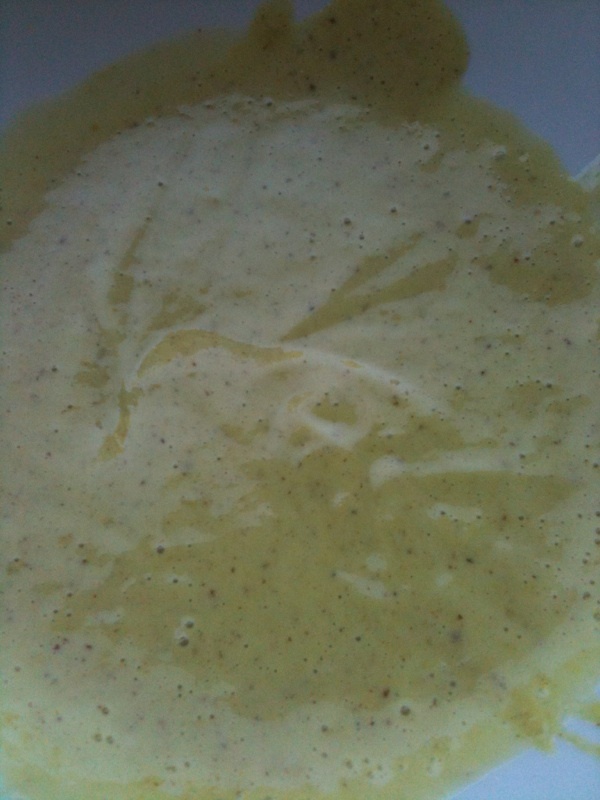 In a bowl, mix together spicy mustard and mayonnaise. In another bowl, mix together almond meal, garlic, scallions, salt, and pepper. Preheat oven to 425 and line a sheet pan with parchment paper. 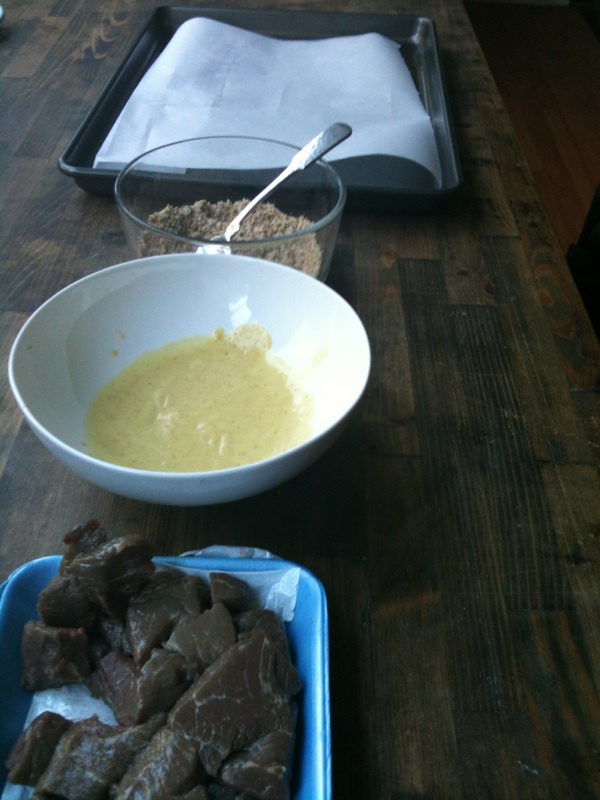 Take beef pieces and dip them into the mayonnaise mix to coat, then dredge in the almond mix to coat. 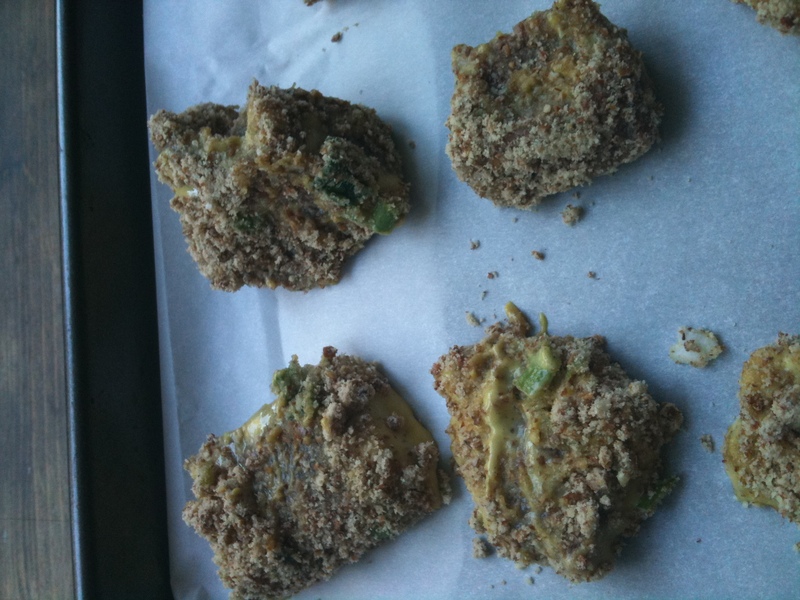 Place all the coated pieces on the sheet pan and bake for 20-25 mins.